Have your fill of some free samples. Beats are the backbone of your tracks, driving the music and maintaining the pace, but there's no joy in endless repetition. This is where drum fills come in, adding variation and frequently indicating to the listener that a musical change is on the way. Of course, you could program your own drum fills, but if you want a selection of pre-rolled, err, rolls and fills, read on. 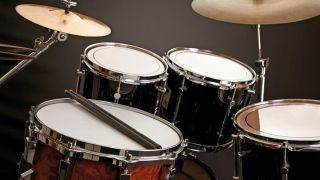 The instant drum fill samples are divided into nine tempo-themed folders. The instant drum fill samples are supplied in a zip file, so you'll need to extract them before you can see them. Enjoy!